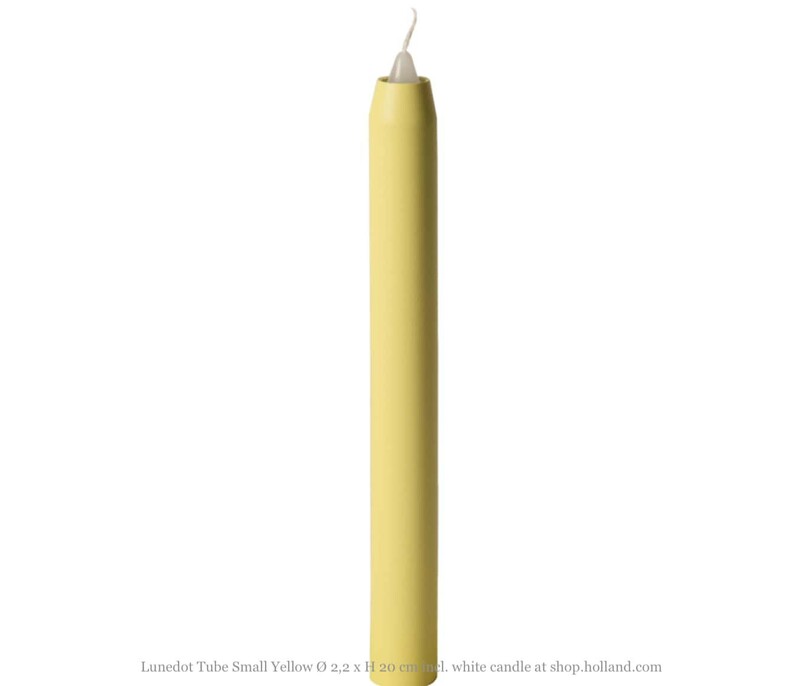 The Candle Tube yellow for the Lunedot candle holder consists of a metal candle tube, spring and magnet. Everything you need for an extra candle on the base plate. 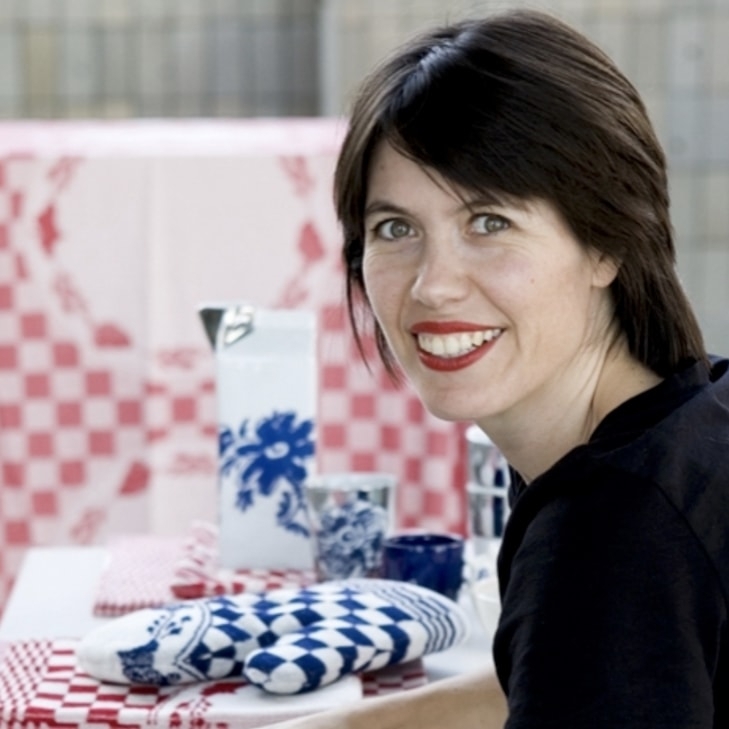 To have multiple candles on a base plate or to create your own colour combinations. The Candle Tube (20 x 2.2 ø cm) fits all Lunedot Base Plates. 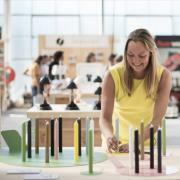 To have more candles on a base plate and other colour combinations, you can order the Lunedot Candle Tube also separately in 8 different colours, including spring and magnet. The Candle Tube has a standard size of 20 x 2.2 cm (h x ø) and fits all base plates.